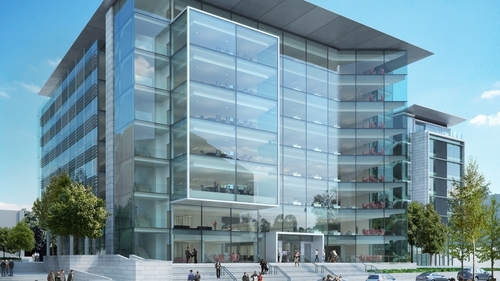 Green REIT specialises mainly in office space in the Dublin area, though it had recently been expanding its logistics investments around Dublin Airport. Its portfolio is valued at almost €1.5 billion, with an annualised rent roll of €75.5m. In February the company reported profits of €45.6m for the six months to the end of December. The board of Green REIT said it had a "strong conviction" in the value of its assets as well as its management and business plan, and the Irish commercial real estate sector as a whole. However a persistently low share price, relatively to the value of its assets, was at the centre of the decision to sell, it said. The sales process is set to begin immediately, with JP Morgan Cazenove set to lead the review of any offers. Green REIT has also appointed CBRE as property adviser, Davy as joint financial adviser and corporate broker, and Arthur Cox as legal adviser. Co-founders Stephen Vernon and Pat Gunne have also ruled out making, or participating in, a takeover bid. Shares in Green REIT were trading 8.5% higher in Dublin by mid-afternoon.